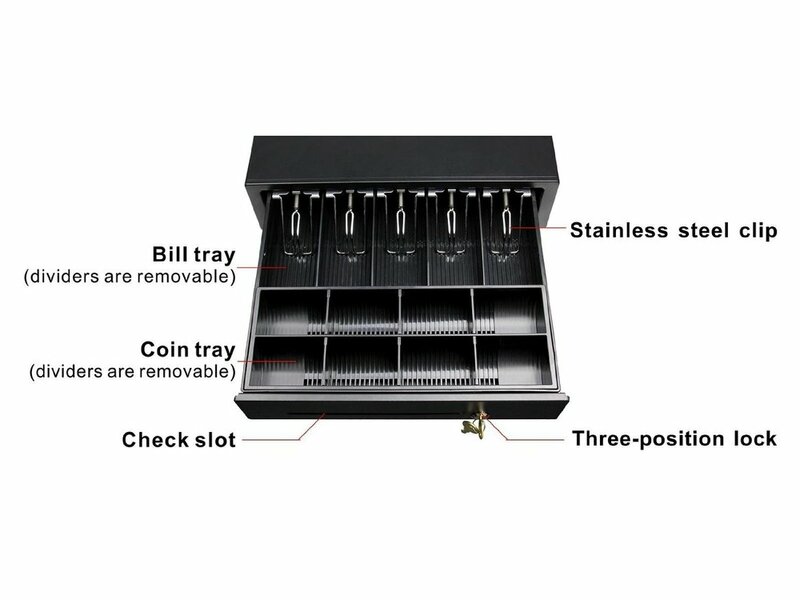 This cash register drawer pleasantly surprised me when I received it because of the unexpected high quality of construction for such a low price. It is heavy gauge steel, very sturdy and solid (spec'd at 15 lbs). It is even attractive with its black surface; it would fit right in with my home theater system (maybe a convenient location to keep it). When unlocked, a spring provides a quiet, satisfying push to open the drawer. As a cash register drawer, it comes with an built-in Ethernet cable to connect to a computer (which presumably has cash register software installed). We don't need a cash register but this has many other uses...store anything that you want locked out of sight. 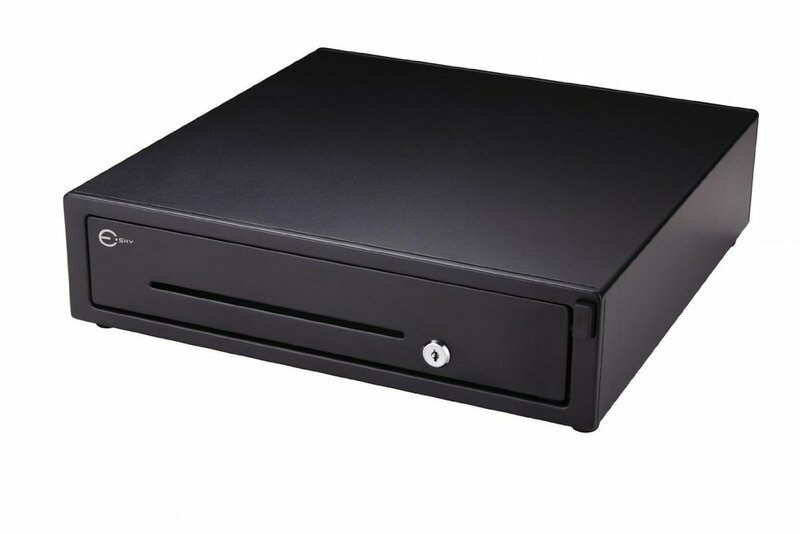 The cash storage section can be removed if desired (and replaced when needed) rather easily by carefully pulling away the front edges of the insert, disengaging it and pulling it out. Then you have a space that is sufficient to put a laptop computer or other electronic devices when you're away or to keep something out of the reach of children. Use it as a piggy bank with the helpful check deposit slot in the front (just as easily insert cash and coins). Keep prescription medication out of children's reach. Hide your spouse's gift idea list.